Ethiopia is widely regarded as the birthplace of coffee and her beans account for approximately 99% of coffee’s genetic material globally. In fact, most coffee beans worldwide descend from Ethiopia’s heritage beans, one of which is the Ethiopian Limu. 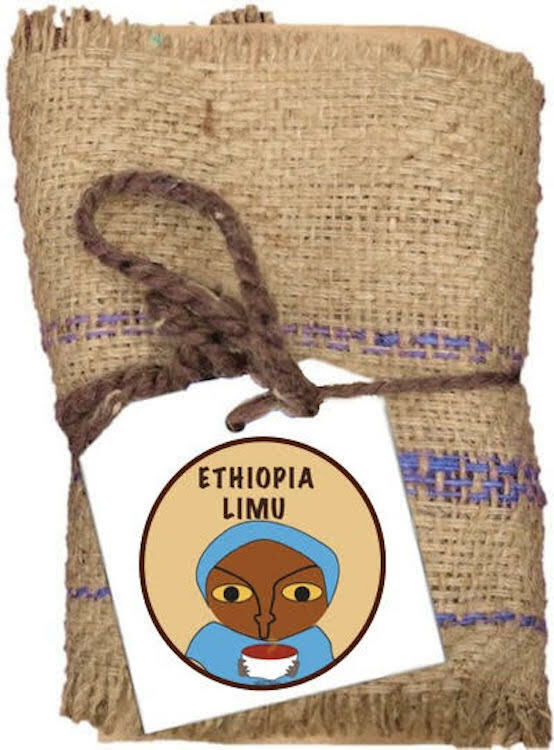 Ethiopian Limu is a wonderfully vibrant, lessor known bean grown in the Omoria district of Ethiopia’s Southwestern Highlands. Shade grown at an elevation of 6,000 feet above sea level, in near perfect conditions, these beans are known for their round shape and balanced, tart acidity. Roasted to a medium shade, this lovely Limu has a fragrant jasmine aroma, moderate mouthfeel, and silky body. The cup opens with bright, juicy notes of apricot-lychee before moving into a long spiced-wine, almost-bitter deep chocolate close. Meticulously dry processed and delicately roasted, this cup is a true treat for those who love African coffees!